Need some ideas what you can frame? Long Island Picture Frame & Art Gallery has a few ideas listed below for you. Use your imagination we can custom frame almost anything! 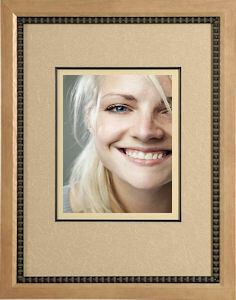 Also take a look at our Hall of Frames Page for more creative ideas. 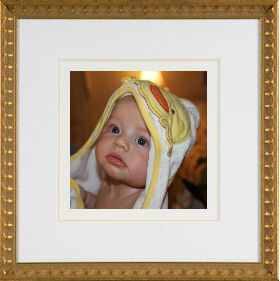 The next time you need the perfect gift, consider custom framing a piece of art, a special photo, or a memento. Flowers last a few days, a nice dinner lasts a couple hours, but frames can last a lifetime. Because so many things can be custom framed, you can easily come up with a unique gift for every occasion. Here are some ideas to get your own thoughts flowing. 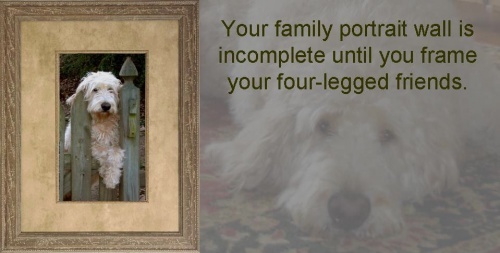 Frame a portrait of yourself or with your significant other. If the two of you have been on a recent trip, frame a special memory, like the Aboriginal painting shown below. 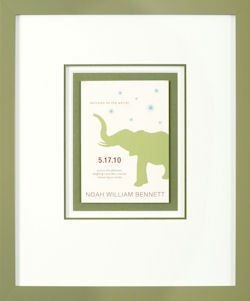 When someone has a baby, a great way to celebrate the occasion is with a frame to insert pictures in, frame the birth announcement, or ask your local framer if they can cut out the baby's name in a mat. A graduate will generally appreciate having their diploma custom framed after working all those years to get it! For those who were involved in school activities, they may also enjoy a shadowbox filled with their school memories. Of course their graduation portrait can be framed as well. 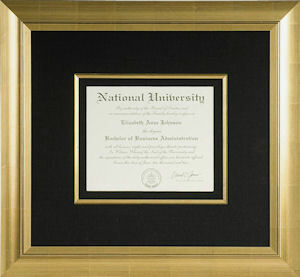 In addition, certificates of achievement and other types of documents, not specifically related to graduation, can be framed and given as a gift to the person who earned it. 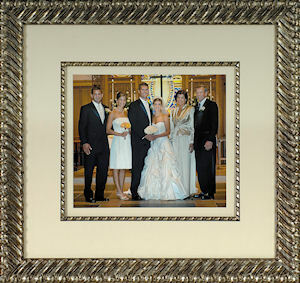 Framed wedding memorabilia makes a great gift for the bride and groom or a treasure for their parents. Wedding pictures, invitations and flowers are all special keepsakes. We all have different tastes and interests. Think of something to frame that will mean a lot to the person you plan to give it to. Consider a small quilt or painting you made for them. Everyone can use a framed mirror and you can frame it to suit a specific room decor. If you are undecided, go to your local frame shop and purchase a gift certificate.